Hubble space telescope has turned 26 years old this year. Hubble has provided many stunning photos in this period of 26 years. Many new unknown galaxy and stars has been discovered by Hubble space telescope. Hubble was launched on April 24, 1990 with the cost of 2.5 billion USD by NASA and European space agency. The size of the space is so large that it is impossible to travel the whole space, for this reason Hubble space telescope was developed. It has such a powerful lens that it can take photos of galaxies which are hundreds light year away from us. We have made a list of 25 most epic photos Hubble has captured in its period of 26 years. The list includes the pictures of stars, galaxies, nebula and many other things that are unknown to us. We hope you will enjoy our list because space is so stunning and awesome. If you find out that there are some photos that should also be in this list then please tell us about this and help us to improve. Take a look at the astonishing photos that Hubble has captured. Enjoy the list of “25 Stunning photos ever taken by Hubble”. Westerlund 2 is a cluster of young star in a Milky way. Westerlund 2 age is age is estimated 2 million years. Westerlund 2 has hottest and brightest stars in it. Its magnitude is 15. Black Eye Galaxy looks like a giant black eye. It was discovered 1779 by Edward Pigott. Hubble space telescope captured its photo in February 2004. It is also known as Evil Eye Galaxy. Pillars of Creation are made of interstellar gas and dust in the Eagle Nebula. 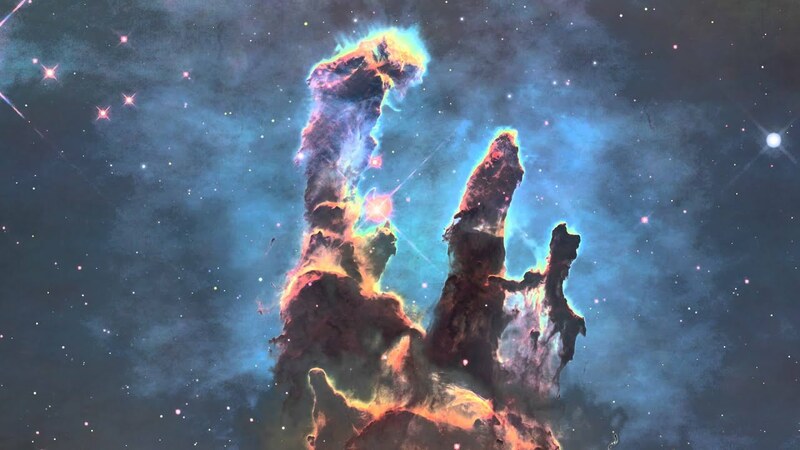 Pillars of creation are about 6,500-7,000 light years far from our planet. The photo was captured on April 1, 1995. Black holes are the giant holes in the universe. No one knows what is inside them. They are formed when star collapses in upon itself. Many theories has been presented on it. Cat’s Eye Nebula photo was captured on September 2004. It was discovered William Herschel on February 15, 1786. The shape of this nebula looks like a cat eye. It is 3300 light years away from our planet. Messier 66 is largest galaxy of the Leo Triplet Galaxies. Charles Messier discovered it in 1780. Hubble Space Telescope capture it photo in 2010. It is 36 million light years away from earth. NGC 6302 is also known as Butterfly Nebula. It is located in constellation Scorpius. Its central star is one of the hottest star we have in the galaxy. Its first image was released in 2009. Its first photo was captured in 1997 but in 2006 a new photo of Antennae galaxies has been captured with the more advanced camera. It is formed about 2 billion years ago with the collision of two galaxies. Supernova remnant mostly known as SNR is formed as the result of explosion of star in supernova. Hubble captured the photo of this supernova remnant bubble in 2006. Sombrero Galaxy is 29.35 million light years far from us. It has a diameter of approximately 50,000 light-years which 30% of the Milky way Galaxy. Hubble took this photo in 2003. Messier 82 is located about 12 million light-years far from our earth. It is a starbust galaxy. Hubble captured the photo of this beautiful galaxy in March 2006. Horsehead Nebula is 1500 light years away from our earth. It was discovered by Williamina Fleming in 1888. Its base are young star that are just forming. This nebula looks like a head of a horse. This photos is the most stunning photos that Hubble space telescope has ever captured. In this photo we can see hundreds of galaxies at once. These galaxies are millions of light years far from each other. Ring Galaxy is a giant ring in which hundreds of young blue stars are shining. It was first discovered in 1950 by Art Hoag. Hubble took this picture in January 2004. It is the most detailed picture of crab nebula that has ever been captured by Hubble. Crab nebula is about 6,523 light years far from Earth and its age is 1,001 years. It is highest resolution picture of this nebula. Orion Nebula is located in our galaxy, Milky way Galaxy. It is the brightest of all nebula and can bee seen without any telescope in the night sky. It is 1,344 light years away from Planet Earth. Mars is the second smallest planet of our Universe and 4th closet to sun after earth. It is the only planet yet where human has sent a robot. It has two moon and it is the closet planet to earth. Eskimo Nebula is famous as Clown Face Nebula. It was first discovered in 1787 by William Herschel. Hubble took this image in 2000. NGC 1275 is 222 million light years away from earth. NGC 1275 consist of two galaxies in it. It is in the center of Perseus Cluster of galaxies. Veil Nebula is a cloud made of heat and dust. It is 1,470 light years far from planet Earth. Its magnitude is 7. Trifid Nebula is 5,200 light years away from planet Earth. It was first discovered in 1764 by Charles Messier. Jupiter is the largest planet of our solar system and 5th closest to our sun. The length of day on Jupiter is 9 hours and 56 minutes. It has at least 67 moon. Beta Pictoris is a star in constellation Pictor. It is the second brightest star of this constellation. It is 1.75 times greater than our sun. Proxima Centauri star is our closet neighbor. It is 4.243 light years away from us. It is located in the constellation of Centaurus. At the last, we are showing the picture of sun that Hubble has captured. Sun is 149.6 million km away from Earth. Sun is a giant fireball. We hope you have enjoyed our list. Now please share it with your friends and let them know about this list too. If you find any mistake then please tell us about this. Check out our other lists too.